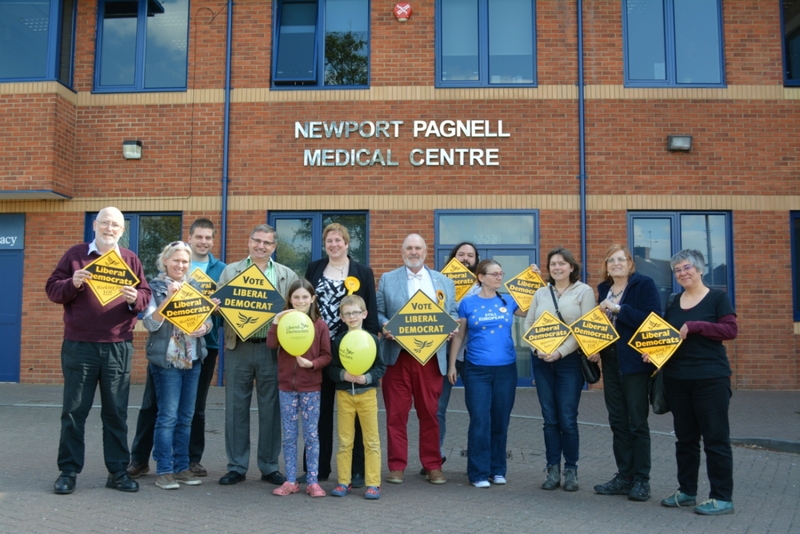 Lib Dem parliamentary candidate Imogen Shepherd-DuBey and supporters outside Newport Pagnell Medical Centre. Our NHS is in crisis, but it doesn’t have to be this way. We can change the direction of our country – and save our NHS. The Lib Dems will invest an extra £6bn a year in our NHS and social care system; paid for through an immediate 1p rise in all rates of income tax. This funding will be ring-fenced to be spent only on the NHS and social care.